MOISES OMAR HALLESLEVENS ACEVEDO, Vice-President of Nicaragua, said the increasing greed of global capitalism, particularly in the Middle East and Africa, had caused wars; created, fostered and cultivated fanaticism and terrorism; and spread insecurity, destruction and all forms of crises. Forced and brutal displacement of thousands of people from previously developed countries laid bare the true nature of those conflicts, and the situation would only worsen unless the international community worked together to resolve the causes of so much distress. From a commitment to peace and fair development — and to help achieve it through dialogue, firm and enduring peace — Nicaragua proposed that the United Nations uphold the responsibility of resolving those hostilities. The United Nations must work for justice, peace, respect and sovereign security in the world, he said. To accomplish that, countries needed to foster the transformation of the Organization to serve all its Member States. During his presidency of the Assembly in 2008, Miguel d’Escoto developed Nicaragua’s mandate to lay the groundwork for those necessary changes. 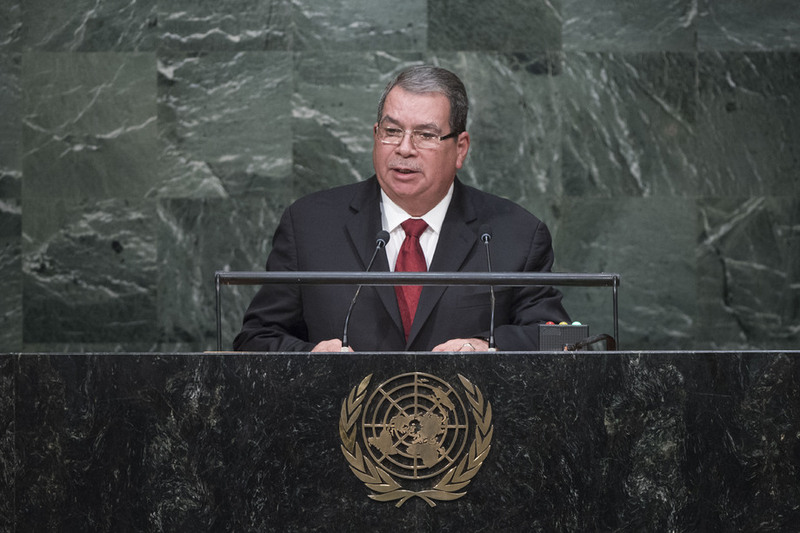 Nicaragua advocated for a “re‑establishment” of the United Nations to prevail in the interest of all, with the ability of all Member States to talk and listen to each other on equal terms. He also encouraged a “respectful, responsible and ethical role” of United Nations agencies “alien to any form of intervention or interference” in the internal affairs of sovereign States.